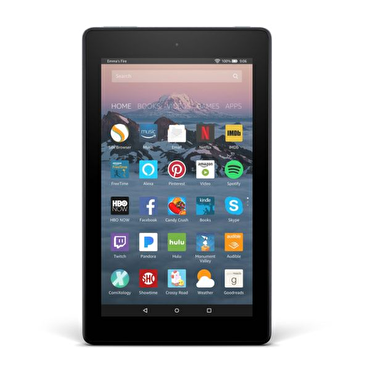 The next generation of the Fire tablet is here, now with Alexa for quick access to the information and entertainment you want. Ask questions, play music, check your calendar, get the news, weather, and more - just press the home button and ask. Enjoy millions of movies, TV shows, songs, Kindle eBooks, apps and games - including Netflix, Facebook, HBO, Spotify and more. Plus, Prime members get unlimited access to over a thousand books and magazines, millions of songs, and thousands of movies and TV episodes (Prime membership not included). Enhance your entertainment experience with features you only get from Amazon, including ASAP, X-Ray, On Deck, Blue Shade and FreeTime Parental Controls.